I am not a big fan of coupon cutting nor do I want to run to multiple stores to get the best deal of the day. Time is money. I work full time and I would rather enjoy my time with my family. Just because my time is limited doesn’t mean I don’t like a good deal. 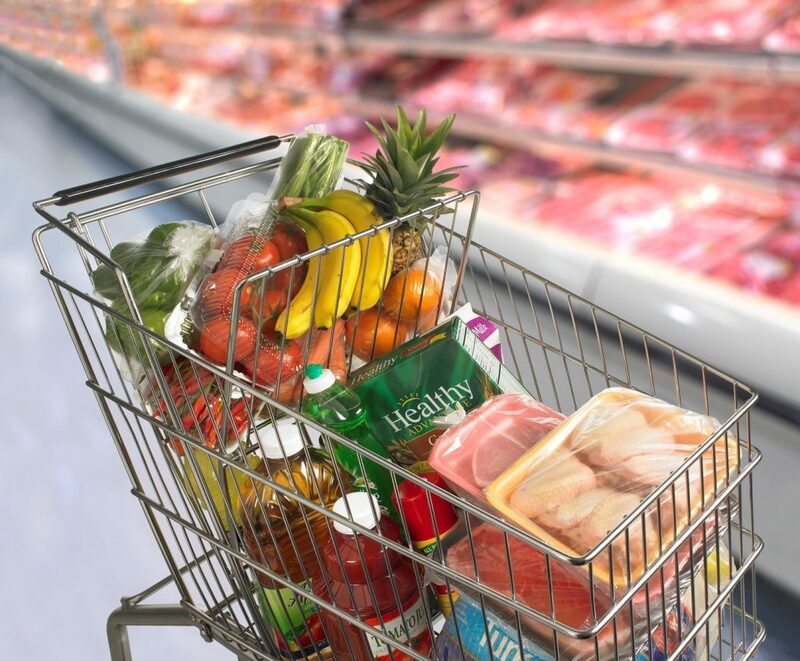 Here are my top 10 ways to save your time and money next time you hit the grocery store. Winter, spring, summer, and fall all have their special fruits and vegetables that are at the peak during those seasons. The best times to buy them are when they are in season. They are also the cheapest when they are in season. Nothing beats sweet strawberries in the summer or fresh pumpkins in the fall for pumpkin pie. I love a good bargain, but buying a 10 count bag of ripe avocadoes doesn’t sound like a good buy. Unless you are running restaurants or throwing a party it’s a waste of good food. I also don’t want to commit to wanting to eat a 20 count protein bar every single day for 20 days or a 4lb container of animal crackers. Not to mention, where will this food be stored. If you are trying to save money, if you want to make the best out of your grocery shopping experience, or if you don’t want to forget a vital ingredient to your special dinner you will make a list. Setting up a meal plan with a shopping list will help me buy exactly what I need. For every meal plan I make, I think of leftovers for the next few days. This helps with easy lunch packing for school for my daughter or lunches for work. Its fun going out to eat with your family and friends, but nothing saves more money than skipping that daily breakfast, lunch, and dinner meal outings. Meat is expensive! Did you know that for years, the USDA recommended only 4 ounces of meat as a serving per day? 4 ounces is only a half a cup. That’s not that much if you think about it. Next time you are cooking, try to use less meat and add more vegetables for a healthier, cheaper option. No, I am not asking you to turn vegetarian or vegan. There’s nothing wrong with that life choice but does every meal need meat? I already mentioned in #6 that meat is expensive so why not just skip the meat every once in a while. I don’t like eating meat every day so skipping a day or two saves us money and is healthier for us. If I skip the meat, I do substitute the protein into our diet with beans or tofu. Every time pasta, dry beans, cans of corn, or rice is on sale, I stock up. Dry goods like that are the least expensive and are the most versatile ingredient in my kitchen. This is the only time bulk buying is better. …Did you know raw honey and salt never expires? Make homemade stock, bake your chocolate chip cookies instead of buying chips ahoy, and make your own taco seasonings. These items save you money and let me know what went into my food. No more ingredients that you cannot pronounce. It’s also fun if you do it as a family. My daughter has loved making brownies and cookies with me. Remember, nothing from a box, make it your own. You can do it! Most recipes call for parsley, chives, cilantro, sage, basil, etc. When I say they call for it, they only call for 2 tablespoons of chopped parsley yet you end up buying a bunch of parsley. Instead of wasting it, wash it, chop it, and store it away in the freezer. This is much better than the expensive freeze dried herbs and they keep for months. I don’t think I need to explain this one but here it goes…I have found myself buying the most random junk foods and checking out every endcap item the store is pushing that week. Nothing says waste of money than that Chili Cheese flavored wheat thins I only ate from once and threw away. Please don’t judge me, at the moment it sounded amazing and I couldn’t turn down a free sample. I hope you enjoyed my top ten money saving tips. What are some of your tips? Want some recipe ideas? Check out Bella’s Apron for all that and more. Another good one is go shopping midweek if possible. The time savings is incredible. When I go on the weekends the lines are longer, the aisles are blocked by people. The stress causes em to not comparison shop for unit price as much either.